Getting caught up on some cookie post while watching Nashville in Sonoma with Cole's fam. 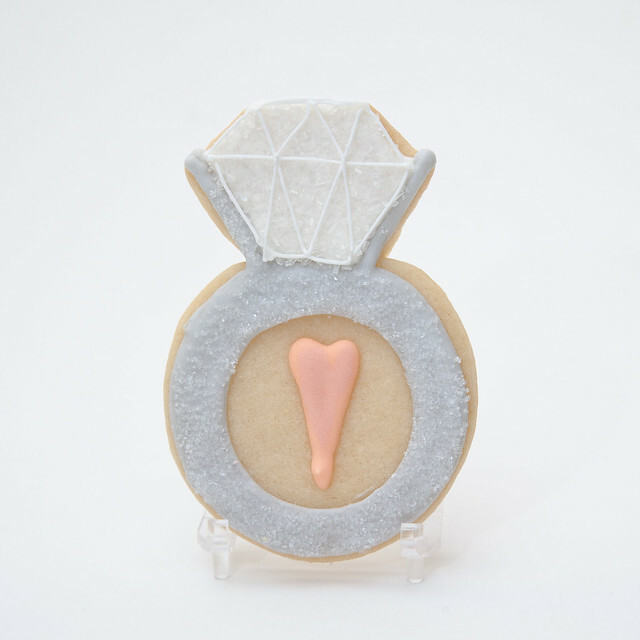 wanted to share these little "engaged & in love" diamond ring cookies. 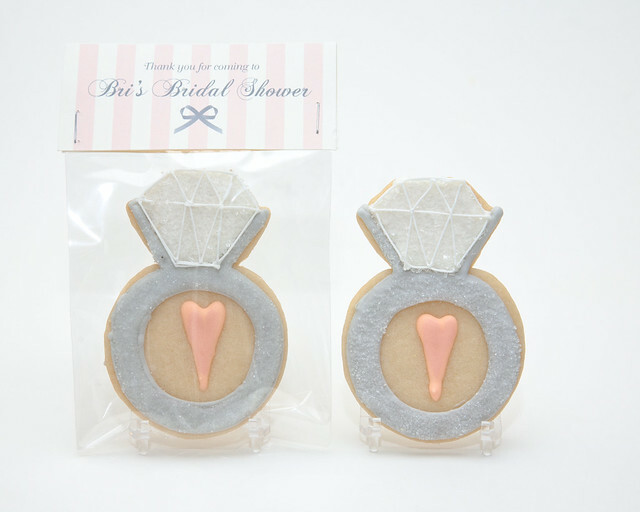 They got to party at a Parisian Bridal Shower recently. 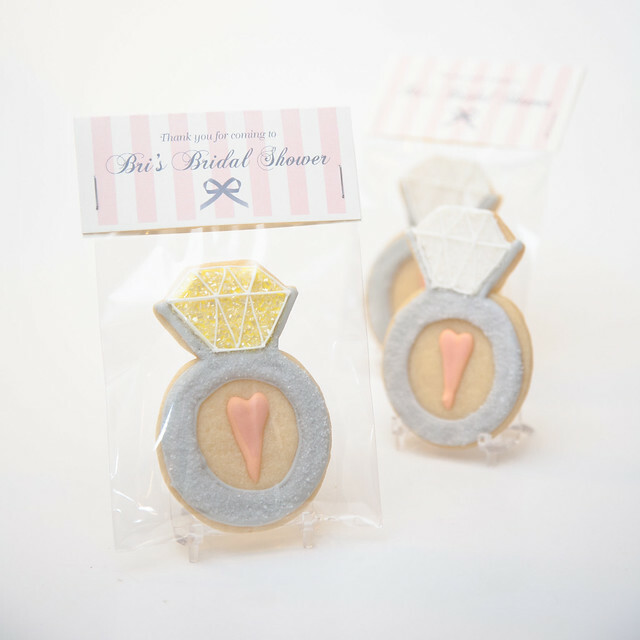 One of the cookies had a "yellow diamond", made just for the bride-to-be, to match her yellow diamond engagement ring! 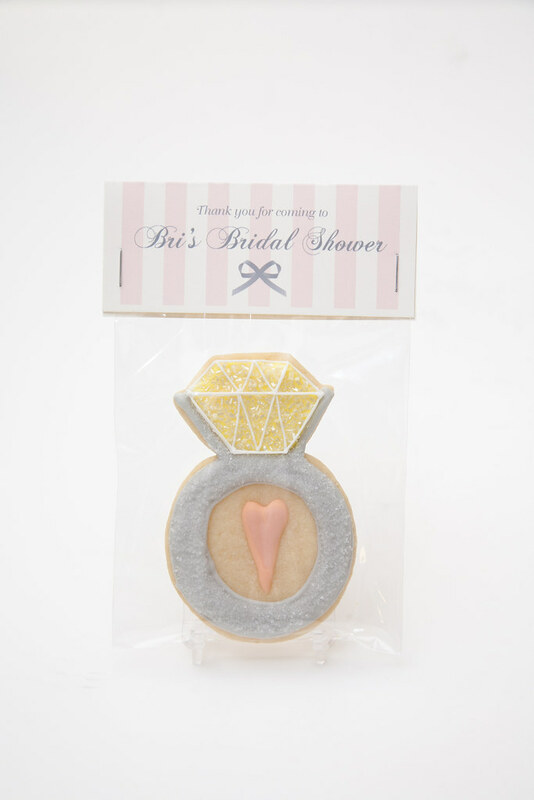 Thanks to Leah for the order and hope the shower was a fun one! Bon Nuit!